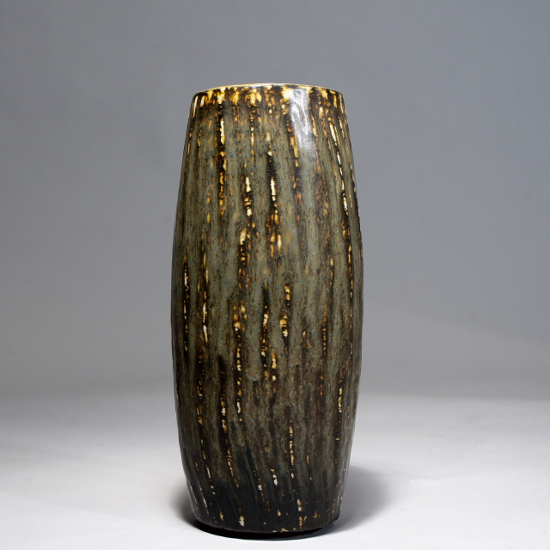 Vase in stoneware with hare fur glaze. Rörstrand, Sweden. Height 22 cm.